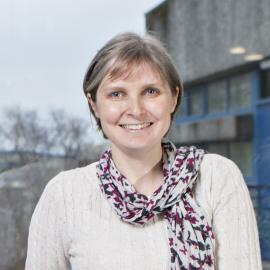 Professor Nicola Stanley-Wall, of the University of Dundee, has been elected a Fellow of the Royal Society of Edinburgh (RSE). Professor Stanley-Wall is Head of the Division of Molecular Microbiology in the School. Her research is focused on using molecular biology to understand the signalling processes that control multicellular behaviour exhibited by single-celled bacteria. She is a champion of public engagement in science, taking part in local and national events. This has led to her being a past recipient of the RSE’s Beltane Prize for Public Engagement and becoming Academic Lead for Public Engagement for the School. In this role she led us in the process that resulted in the School being the first faculty in the country to be awarded a Gold Engage Watermark by the National Co-ordinating Centre for Public Engagement. New Fellows will help the RSE to continue to provide independent and expert advice to policymakers, support aspiring entrepreneurs, develop research capacity and leadership, inspire and facilitate learning and engage with the general public through inspiring events. The RSE is a leading educational charity which operates on an independent and non-party-political basis to provide public benefit throughout Scotland. Established by Royal Charter in 1783 by key proponents of the Scottish Enlightenment, the RSE now has around 1600 Fellows from a wide range of disciplines. The work of the RSE includes awarding research funding, leading on major inquiries, informing public policy and delivering events across Scotland to inspire knowledge and learning.